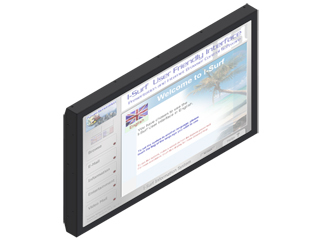 This wall mounted kiosk system is ideal for point of sale displays and digital signage with the in-built Intel Panel PC and full multimedia capabilities. The v10 is a stylish, minimalist kiosk. Designed to be non intrusive this unit, pictured on the left, has the class and style to fit into both classic and modern styled locations, fitting in beautifully with the surrounding décor.